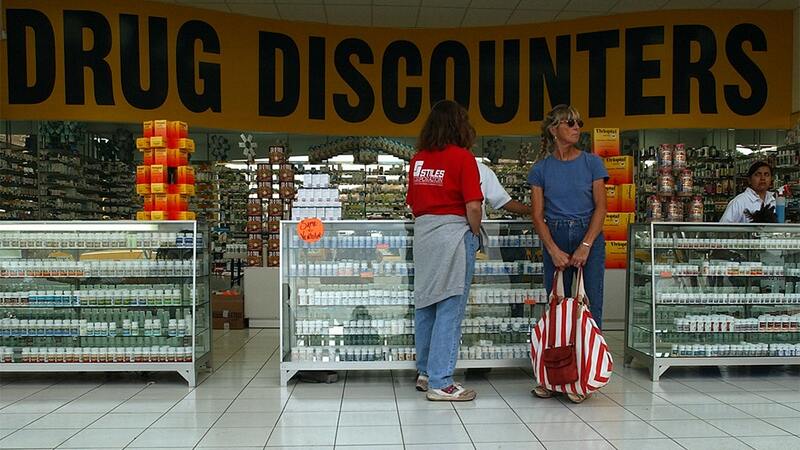 Pharmacies in Tijuana are open to those who come from the United States in search of low prices. A Utah insurer is looking at a controversial solution to an increasingly American problem — sending patients across the border to Mexico to get cheaper prescription drugs, according to reports. KUTV reported the “pharmacy tourism” through PEHP Health and Benefits, which provides insurance to 170,000 of Utah’s public employees, will send patients to San Diego and drive them across the border to Tijuana to get the drugs. Utah residents who make the trip would also get a $500 cash-back incentive, and 100 people are so far eligible for the program. “We’re trying to be part of the solution in health care,” Chet Loftis, managing director of PEHP, told KUTV. KUTV reported that the drugs cost insurers roughly half the American price when purchased south of the border. “It’s cheaper for us to pay for the drug down there, send them down there and then give them $500 than it is for us to do it here,” Loftis added. Rep. Norm Thurston, R-Provo, who sponsored the “Health Insurance Right To Shop” bill, is a big supporter of the PEHP plan. “Why wouldn’t we pay $300 to go to San Diego, drive across to Mexico, and save the system tens of thousands of dollars? If it can be done safely, we should be all over that,” he told KSL. He said the plan allows the residents of his state to save money. “We’re paying more for drugs in the U.S. than they are in other countries,” Thurston added. November 7, 2018 Comments Off on A Partisan War Awaits Trump. That Just Might Suit Him.